Dec 2016, Boulder, CO – GeoVisual was one of thirteen Colorado companies awarded grants of up to $250,000 from the Office of Economic Development and International Trade to enhance the commercialization of advanced industry products or services in Colorado. GeoVisual received an Early Stage Capital and Retention grant, which funds companies “commercializing innovative technologies to create viable products that meet a market need and can be created or manufactured in Colorado and exported globally.” The program also funded Proof-of-Concept grants to Colorado research universities, federal labs located in Colorado and other labs with valid technology transfer offices for pre-commercialization research and commercialization preparation. Colorado’s advanced industries are aerospace, advanced manufacturing, bioscience, electronics, energy, infrastructure engineering, and technology and information. 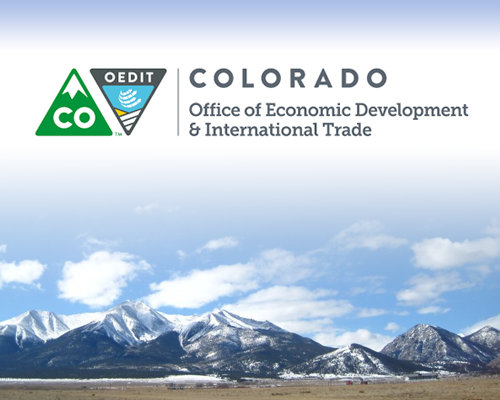 The Colorado Office of Economic Development and International Trade administers the program with support of Colorado Advanced Industry trade associations and the state’s Economic Development Commission.